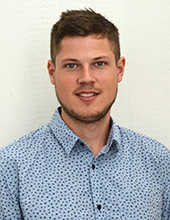 Johan Eddeland is an industrial PhD student in the Automation group. Together with his supervisor Knut Åkesson, he will work on model-based testing of hybrid systems. There might be more projects where Johan Lidén Eddeland participates, but you have to be logged in as a Chalmers employee to see them.